International adoption can be a wonderful way to build your family while opening your heart to a different culture and another country. AAI’s experienced international consultants will guide you through the adoption process, walking alongside you each step of the way. Children placed for adoption from Bulgaria most often have identified special needs, are considered older, or are placed as part of a sibling group. AAI consistently receives detailed information on children who are eligible for adoption and we’d be happy to discuss how yours might be the perfect family and home for one of them. Bulgaria is a two-trip program, with each trip lasting about one week. There are very few eligibility restrictions in this adoption program. If you are interested in learning more about this program and about the children we place for adoption, please call Sally at 616-667-0677 or send an email. 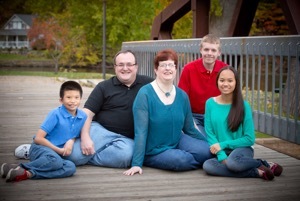 Adoption Associates has been placing children from China since 1994. Both boys and girls ranging in age from 12 months to 14 years are available and waiting for a family! Your experienced consultant will provide you with specialized personal attention as you complete the required paperwork and review files of children. There is no wait list! Children have special needs such as cleft lip and palate, congenital heart disease, limb deformities, vision and hearing disturbances, spinal issues, neurological issues, and digestive disease. Contact us today to learn more about this program and the children available! Please call Laura at 616-667-0677 or send an email. On average, how long does an international adoption take? The total length of time to complete an international adoption varies, but on average can be completed within about 12-36 months. International adoption fees vary depending on the country from which you are adopting. Total expenses generally range between $20,000 – $25,000, excluding travel. Please download a copy of our International Information Packet, which includes itemized fee schedules. Am I required to travel to the country to adopt my child? Travel to your child’s country of origin is required, and is an important step of your adoption as it begins the process of bonding and attachment with your child. In some cases, only one parent is required to travel. Length of travel and number of trips vary from program to program. 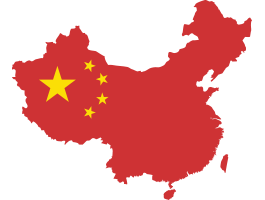 One trip lasting approximately two weeks is required for China. 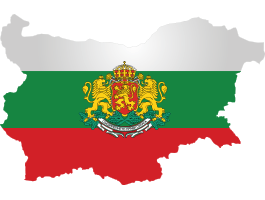 The Bulgaria program requires two trips, each lasting 7-10 days. Our story begins in 2000, when we contacted Adoption Associates to discuss our options regarding Adoption. We joined the China program and were blessed when our daughter was placed in our arms in January 2002. Our son was 6 six years old and our new daughter was a year old. We thought our family was complete. There was, however, another plan for us. In 2004 AAI received their first waiting children referrals. A little boy with big brown eyes seemed to call to us. We knew he had Microtia and a severe hearing loss. We contacted our doctors, talked to friends, and prayed. We took a step in faith and filed our papers in May 2004 to bring our son home. Did we have all the answers? NO! But we did know we had room in our house and lives to love a child. Looking for a licensed agency to complete a HOME STUDY for you?